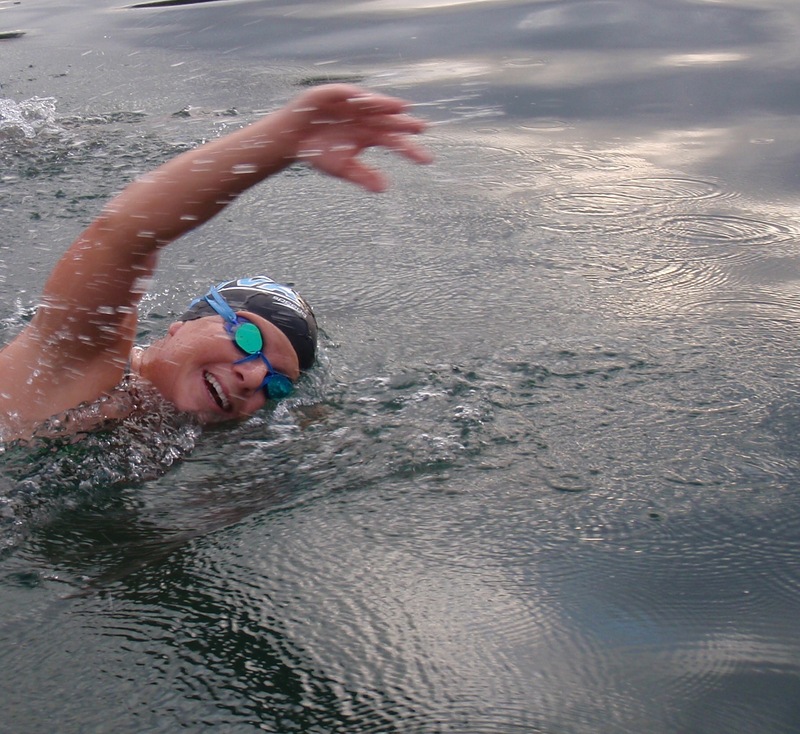 California-based Channel swimmer and sports psychologist Jen Schumacher has previously visited Sandycove and will be returning in 2012 to the Cork Distance Week as part of an aggressive swimming attack on the English Channel and Gibraltar. In 2011 Jen did the astonishing feat of climbing Mount Whitney, the highest peak in the Continental US, on one day and on the subsequent day swimming Lake Tahoe’s 21 miles! As with my other guest articles, it’s an honour for me to feature her, and I hope you enjoy it. We’ll look forward to swimming with her this year. EDIT: By complete and happy coincidence, on the day this is published, Jen is named as one of 101 most influential open water swimmers in the world! After the first of many La Jolla Rough Water Swims in San Diego, CA. A good friend of mine who was training for Catalina convinced me to do a 10K in Santa Barbara. I was skeptical – I’d swum 10K in a pool plenty, but there’s a wall and a bottom. The ocean? I wasn’t so sure I could do without. When we arrived the morning of, I was so nervous I was sick to my stomach. I couldn’t believe I was actually going to do this. Sure enough, as soon as the race began, all my nerves and doubts were left on shore. Dave and I raced the whole way, always within 25 meters of each other. It was a soft 10K and took us just over 2 hours. We were neck-and-neck at the last turn buoy, but I had so much energy at the end, and much more kelp experience, and motored past him. After that swim, I was hooked. I tagged along with Dave on so many of his training swims for Catalina that he finally let me join his crew. I started with him at midnight at Doctor’s Cove, pitch black aside from a few bobbing glow sticks. I was there when the hypothermia set in at the 6-hour mark. I was again in the water with him when he lost his feeds and sobbed. I watched with horror as the observers demanded he count backwards by odds from 13. He struggled. I felt the energy on the boat deflate. Four painful hours later he climbed those slippery rocks at Terranea. With Dave warm and safe on the boat, the crew cheered and celebrated as he stared off into space, in a dull fog. Looking back, I have no idea why that experience encouraged me to do this. Somehow, and thankfully, that day, as messed up as it was, convinced me I could swim Catalina. I also knew I would swim it in a very different way. I committed myself to training that very next day. I pestered Dave’s mentor, Jim Fitzpatrick, until he graciously agreed to help me. Luckily for me, Jim is generous with his time; I had much to learn. My goals: to swim Catalina, and to be in high spirits the entire time. A tall order. I soaked up all the advice Jim and other great marathon swimmers had to offer. I was concurrently working on my graduate degree in Sport Psychology, and I picked the brains of every professor at Cal State Fullerton who would spend time with me. I prepared for everything I could possibly imagine happening. Night swimming, sleep-deprived swimming, nauseous swimming, energy-depleted swimming, painful shoulder swimming, cold water, choppy water, crawling over kelp, you name it. My longest training swim was 85% of the distance of Catalina and 88% of the time I ultimately spent in the water on my day. Every crew person was required to spend some time with me in the water – either as a swimmer or kayaker. 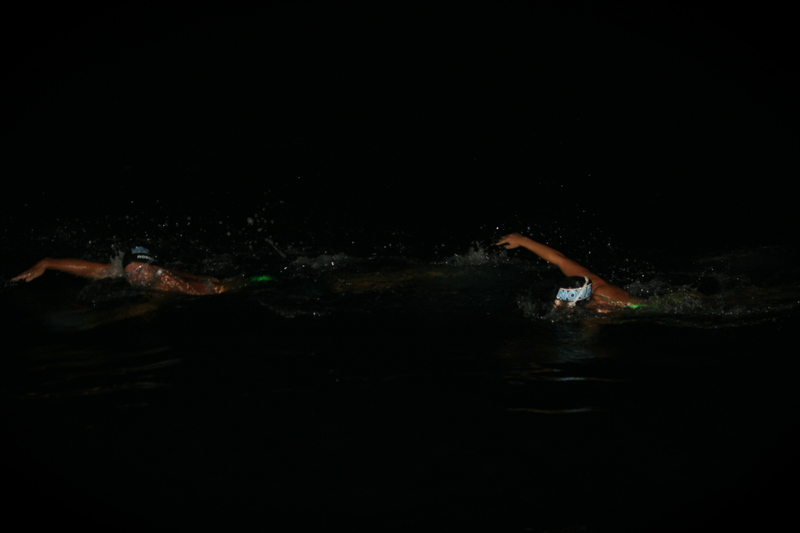 I worked the mental game too – using imagery most nights to visualize the start, the finish, and swimming in the middle, on top of 3,000 feet of water. I had a routine before ocean swims that helped me let go of other things, reminded me of the purpose of the swim, allowed me to be present, and ultimately got me into the mental state I needed to be in. I had ample opportunities to practice letting go of frustration, anger, pain, and distractions on long swims. I used systematic tricks, like focusing on a specific part of my body or repeating a pre-determined word or phrase. After swims, I discussed with my main kayaker (my mom) what went well and what we could do better. The day I believed I could swim Catalina was a year and 8 days before my attempt, but when I stood in the pitch black at Doctor’s Cove, I knew I could swim Catalina. I reminded myself of the massive amounts of smart training I did, and all the discomfort I endured along the way to get there. I reminded myself of whythis swim was meaningful to me: Catalina was a symbol of family and it represented the romanticism of marathon swimming as I knew it at the time. I went through my routine, and began. 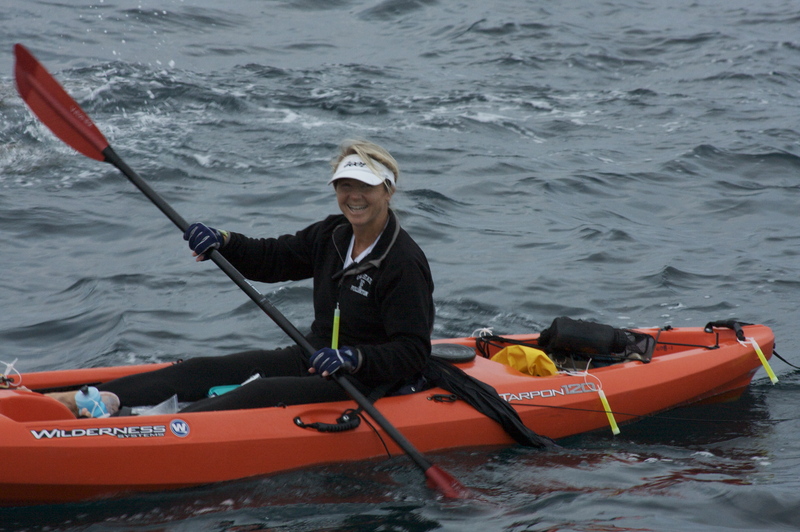 My studly mom, who has now completed two 21-mile Catalina Channel kayaks, alongside my swims. 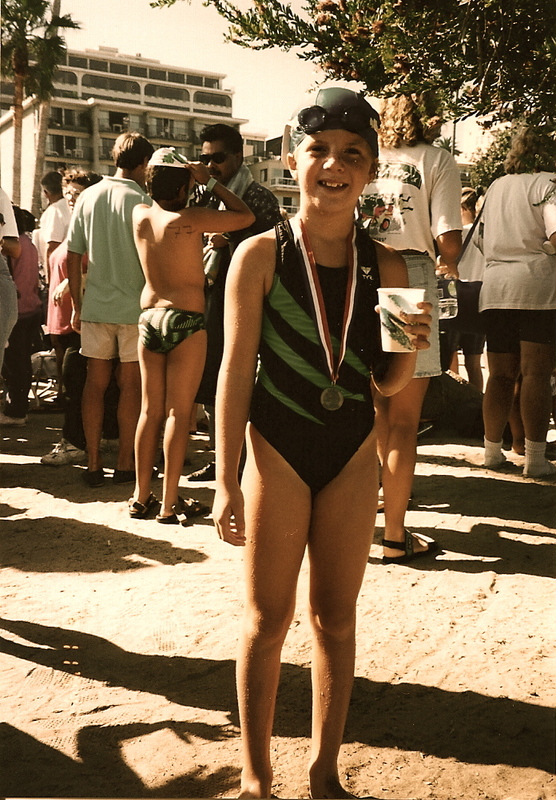 Before Catalina, I had intended to be a one-and-done swimmer. Do Catalina and move on with my life. As they say, the bug bit. 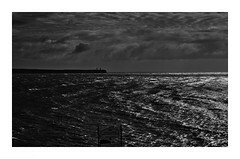 It wasn’t even that I needed to do the English Channel, or any other particular marathon swim for that matter. I just needed the training, the ocean swims, the lofty goals, my training partners, the marathon swimming community in my life. And follow her on Twitter at https://twitter.com/#!/channelswimjen. She’s great at answering questions and if you have any longer ones for her, leave a comment and she’ll reply. ← Will 2012 be the greatest year ever for marathon and open water swimming in this generation?